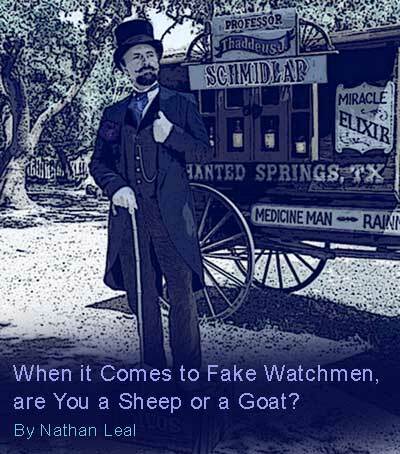 When it Comes to Fake Watchmen, are You a Sheep or a Goat? 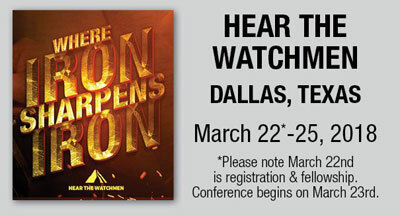 Note – This article includes my opinion of the, “Hear the Watchmen Conference,” that is taking place in Dallas, Texas. I know it’s a hard question, but it’s also valid, because in this late hour, a large section of the evangelical population is bypassing the words of Jesus and instead listening to delusional false prophets and watchmen who are peddling fake NAR theology and false promises about America and Donald Trump. “Hear..” implies that they have something to say. It also implies that they know what they’re talking about and will be telling the truth. However, over the last 24 hours, the truth about Donald Trump has been revealed. It happened today, March 23, 2018, and it reveals the scorecard that many of those watchmen are confused. Why? Because today, Donald Trump signed the Omnibus Bill which fully funds abortion for another year. 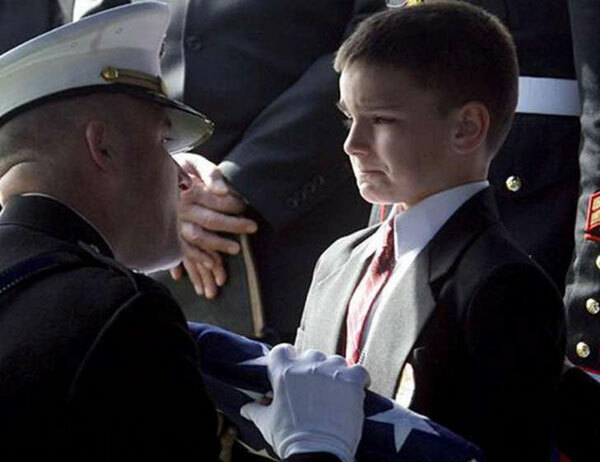 It also funded the continuation of pork, pig slop, and a large order of bullets and bombs that are going to be used to send our sons and daughters to war. And folks, because of this new appointee, the question about America going to war has been answered. 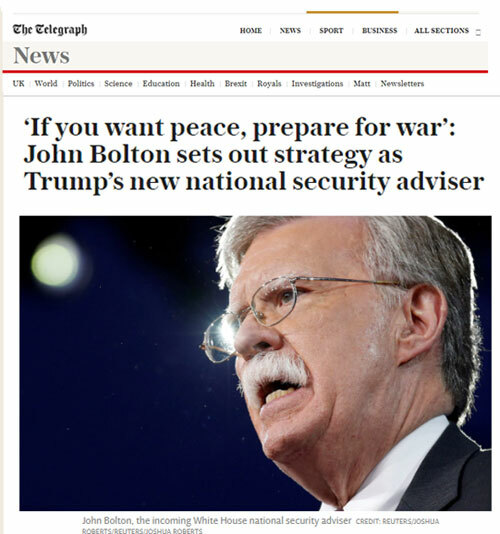 Bolton is a hawk who is going to counsel Trump to go to war with Iran and North Korea. 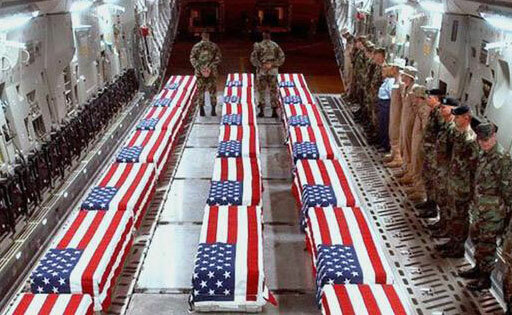 So barring a miracle from God, get ready to see thousands of flag draped coffins containing our sons and daughters return to America. …the teary-eyed tribute in a framed triangle. The argument is over. 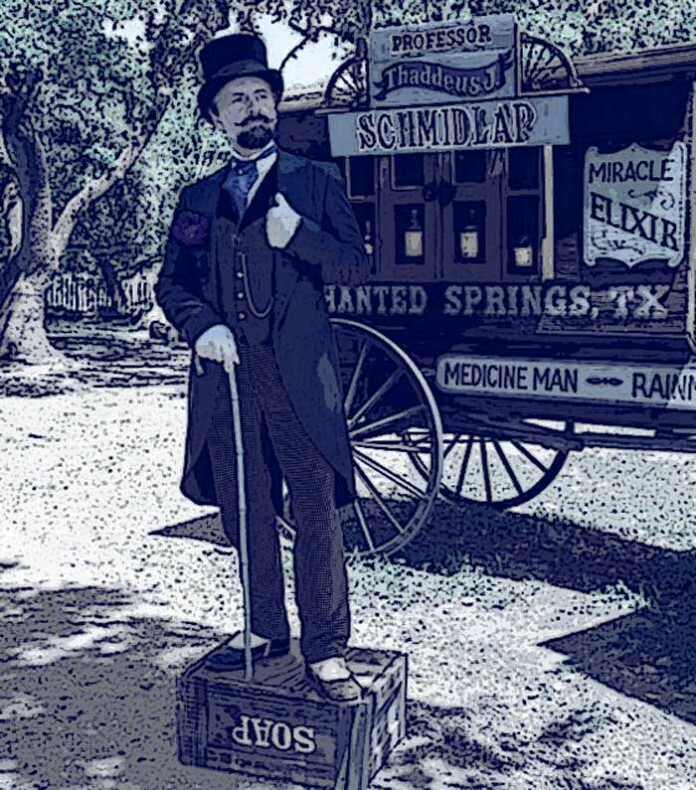 Donald J Trump was a shill. He lied to America, and most importantly, he lied to the evangelicals, his base. Trumps evangelical base is using the same tactic to excuse him. Except this time it’s, Deep State. Announcement to evangelicals who ignore reality, Deep State did not sign the Omnibus bill. It was Donald J Trump who signed it. No excuses folks. It’s time to call the kettle black, and that freaky hairdo – orange. It’s time for evangelicals to face reality. And it’s also time for them to admit that they have been had, deceived, betrayed, backstabbed, and kissed by President Judas… A man who is not your friend. Never in my 30+ years as a Christian have I seen the American church embarrass itself to this level. But I must include that for this I blame the spiritual leaders of America and the watchmen who have proven themselves to be blind charlatans. I know that this article is going to ignite a segment of people, but these things must be said. I must say them because I can already see that many of the delusional watchmen are going to start coming around and voice their disappointment about Trump. But as they voice their disappointment, they are also going to make excuses, and attempt to bypass the responsibility of admitting they were wrong. Ladies and gentlemen, you cannot forget this. It is important that God’s people remember their blind failure that should have discerned the evil Trumpet that is vexing America right now. It’s important that you hold them responsible for lying to you, and claiming that all is well. It’s important that you do not give them excuses, because otherwise they will lie to you again. When it comes to listening to a watchman, the formula is simple. Do they have the eyes to see? Are they honest? Do they have discernment to know when an antichrist stands before them? In this case, did they warn you about Trump? If any of these answers are, “no.” Then biblical wisdom prohibits you from following them in the future. There is no compromise about this folks! We are facing a life-and-death struggle right now. America’s future is headed over a cliff where it will see great darkness, and you cannot afford to follow someone who does not possess the discerning light of God, because if you do, you will also be led into confusion, destruction, and possibly over a cliff yourself. In the coming days, we’re going to see some of the watchmen begin to complain about Trump, and before you know it, many of their listeners will forget that they lacked the visceral ability to discern him from the beginning. Many listeners will also forget that the voices behind the microphones also lacked the ability to stand alone and proclaim the truth. Being a faithful Watchman requires the backbone to stand alone, in spite of opposition. But because they could not stand alone, and they caved to peer pressure and popularity, in my opinion, these ones are invertebrates. Yes, invertebrates. They lack the backbone to stand up for what’s right. There is no way to spin it folks. Many of you have seen them in action, and some of you are still listening to them, which makes no sense. Again ladies and gentlemen, isn’t it ironic that on the same day that the Trump worshiping “Hear the Watchmen Conference,” gathered to share their fallacies and fables, Trump signed the Omnibus Bill that PROVES he lied to everyone?Â It also proves that many of those Watchmen need to either do some soul searching, or get off the stage and get another job! This must be said folks. Most of those other Watchmen are a flock of charlatans who cannot hear from the Lord, nor do they have the discernment to call themselves their given title. By the way, this disclosure of Trump’s true colors is not a victory for me. Instead, I am sad that the destruction of America is now assured. “When the Son of Man comes in His glory,” … This is compelling folks, because some day soon, this will come to pass. Jesus is going to return and when He does, He is going to separate all of us into two groups; the sheep and the goats. He told us that a sheep has a heart of compassion and cares for others. A sheep also cares about the truth …. and most importantly, a sheep knows the voice of Jesus, and a stranger’s voice theyÂ do not follow. If you are a Christian, this parable applies to you. It is important to follow the voice of Jesus. But it’s also important to know that not every voice comes from Jesus. The NAR prophets are proving this. The watchmen who misled everyone are also proving this. They do not possess the ability to discern the truth from a lie, or a political hero from an imposter. Ladies and gentlemen, the truth is now before all of us. So what are you going to do with it? Again, Donald Trump has revealed his true colors. He signed off on murdering babies. This is inexcusable. When he threatened to veto the bill last night, his reason was because the wall did not have enough funding. But he never mentioned the inclusion of abortion. …. And also the confused watchmen who are selling their books in Dallas this weekend. They got it wrong folks. Big time. Their Cyrus man just signed a bill to kill babies. Which part of the Donald’s supposed anointing initiated that? Which drop of innocent baby blood will make America great? If any Christian claims that Trump is their Cyrus, then by default they are supporting the murdering of babies, and are we to believe that God put Trump into office to save their retirement fund, but also to murder babies? Really? Enough with the lame excuses about Trump. … He is not a doorstop. 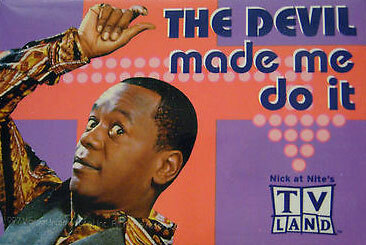 … He will not stop the New World Order. … He will not slow down destruction. … He will not end abortion. We now have the proof. … He is not Cyrus. But I’ll tell you what he is. He was God’s tool to separate the sheep from the goats. My friends, God’s remnant will not be deceived, because His true remnant is able to hear His voice. God’s remnant is made up of the elect who hear the voice of Jesus, our Great Shepherd and follow Him. … I pray that God’s elect will read these words, and be challenged by its truth. …Â I pray that American evangelicals will awaken & see this deception. …Â I pray that they will also realize that not every watchman is the same, nor is every voice inspired by the Holy Spirit. …Â I pray that God’s remnant will move forward into a closer walk with Him. …Â I pray that God’s people will discover His light and fall in love is His Word. …Â I pray that the remnant will prepare and get their houses in order. Tomorrow is a new day. His loving kindness is new every morning. If you have been struggling with sin, Jesus can break the stronghold and bring victory, because His blood will never lose its power. And that power, my friends, is not given to us by the White House, or Trump, but instead it is available for you from our Master Himself, Jesus our Savior. Please share this message with your friends and family. If you appreciate these challenging messages, we appreciate your support.